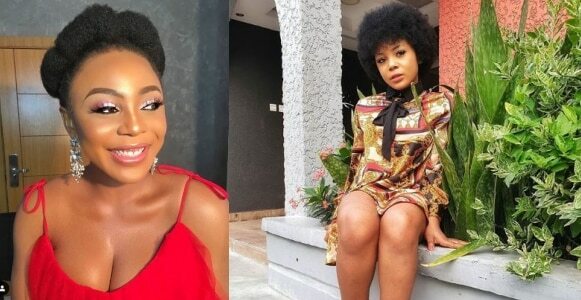 BBN’s reality star, Ifu Ennada while reacting to rumours that a sugar daddy is financing her business, said she would love to meet him because she doesn’t have an idea how he looks. She made the statement while speaking in an interview with The Punch where she mentioned that the patronage she is enjoying in her business is from her supporters and followers. I heard that a sugar daddy was the one setting up a store for me and financing my business. That’s preposterous! I’ll actually like to meet this sugar daddy because I don’t know him. The money I’m using to set up a shop is actually from the patronage of my supporters and followers. The first buyers of my products were my fans on Instagram and that’s how I have been able to grow. I also heard that I was dating Kemen and we were in bed together. Again, it’s just lies. The popularity has given me a platform to reach the world. There are people who look out for the things I wear and try to get them for themselves. They also buy my products. They are the reasons I make the kind of money I do. They are my fans and followers. Without them, I don’t think I’m anything. Another positive side is that I’m paid more for hosting and acting. Before, it was quite bad. As regards the negative aspect, it’s mostly the cyber bullying. Sometimes, I just wonder why someone I may never have met wouldn’t like me.